New Year's Eve is a night of celebration no matter what city you're in, but you will love the exclusive parties you find all over the Detroit area! 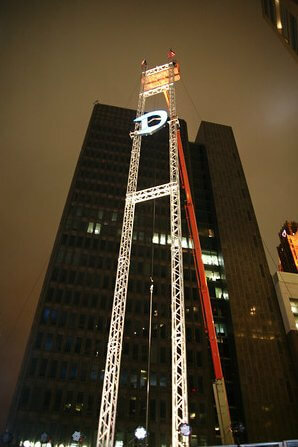 We even have our very own ball drop downtown! Dress your best and hit the club as you countdown to a new year and a new beginning! Eat, drink, and get wild with your closest friends while you reminisce about the past year. You are going to have a fantastic time! Detroit has unlimited venues for fun during New Years Eve. Midtown, Corktown, and Greektown are always bustling with activities during this time, and you're bond to find a bar or nightclub to fit your interests! Best of all, there are great options for transportation during this time, so you won't have to depend on a designed driver. A limousine or party bus makes for the perfect New Years Eve transportation in Detroit! When you decide to rent a party bus or limousine for your New Years Eve celebration, you're ensuring a New Years that you'll never forget. There's nothing better than a vehicle that comes with features that you'd find in a nightclub! You can enjoy LED neon lighting throughout, ice filled bar areas with coolers, a bumping sound system, flat screen monitors, and more! Be sure to rent your party bus or limousine today.